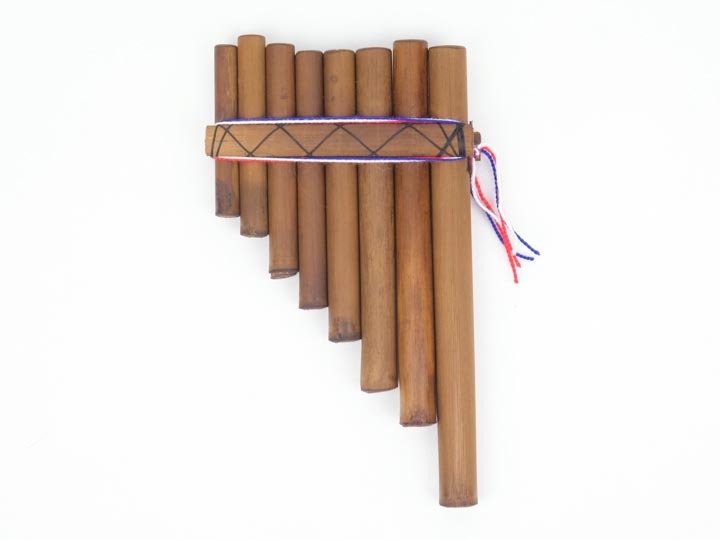 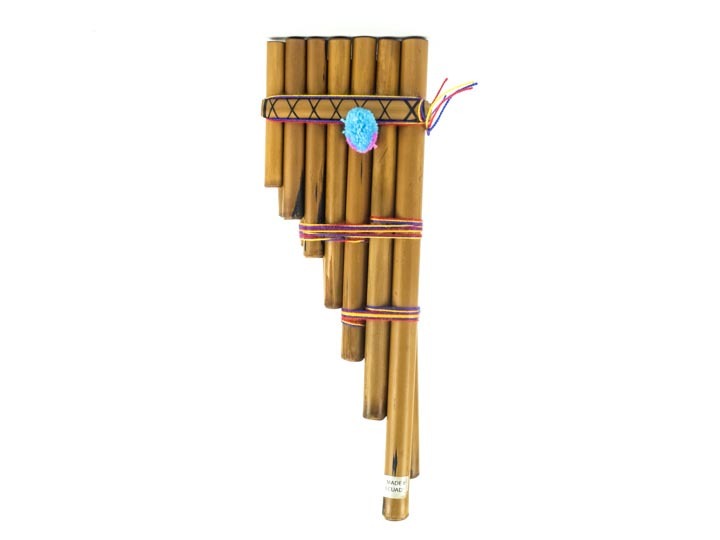 These handmade Andean pan flutes are made by the indigenous people of Otavalo, Ecuador from bamboo. 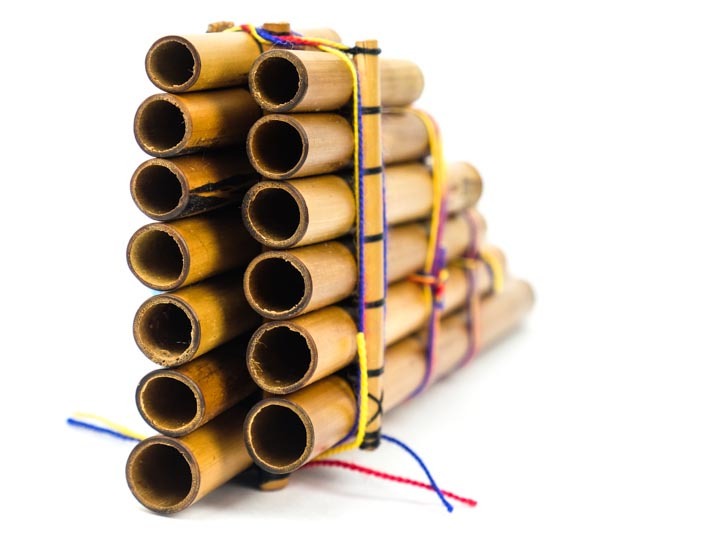 They are decorated by colorful threads and pompoms. 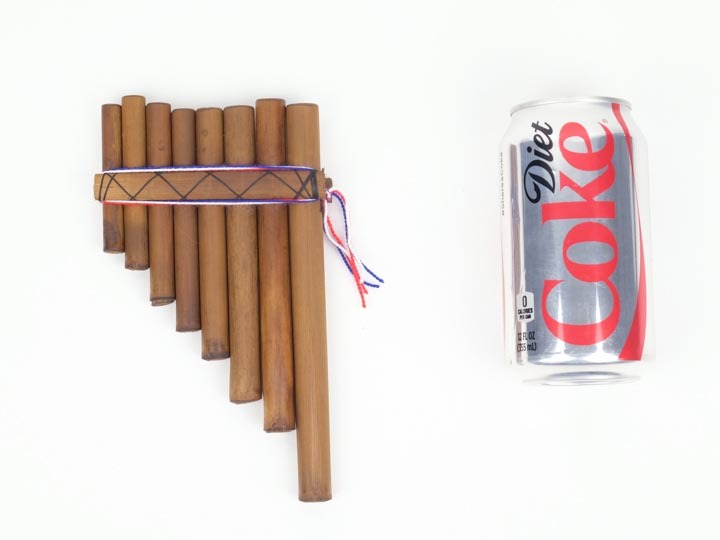 See a size comparison of the Souvenir flute with a soda can. 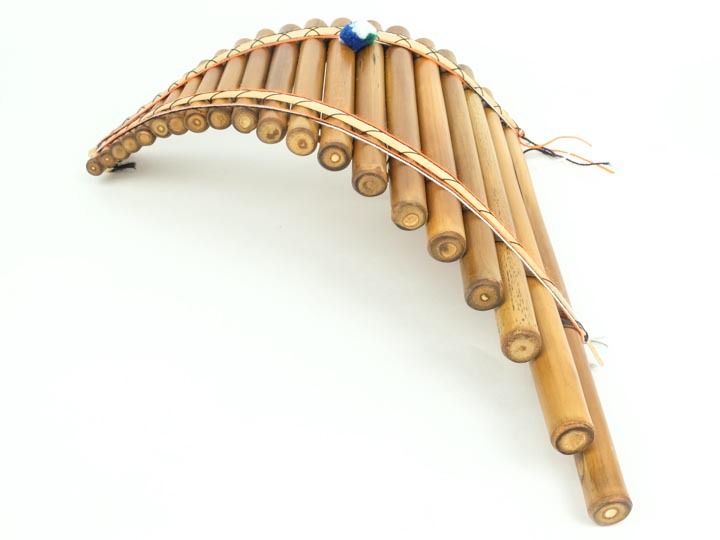 See another view of the Zampona flute. 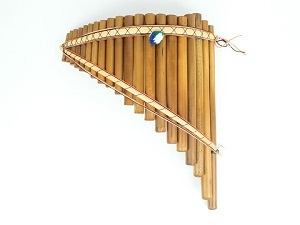 See another view of the Sisca flute.